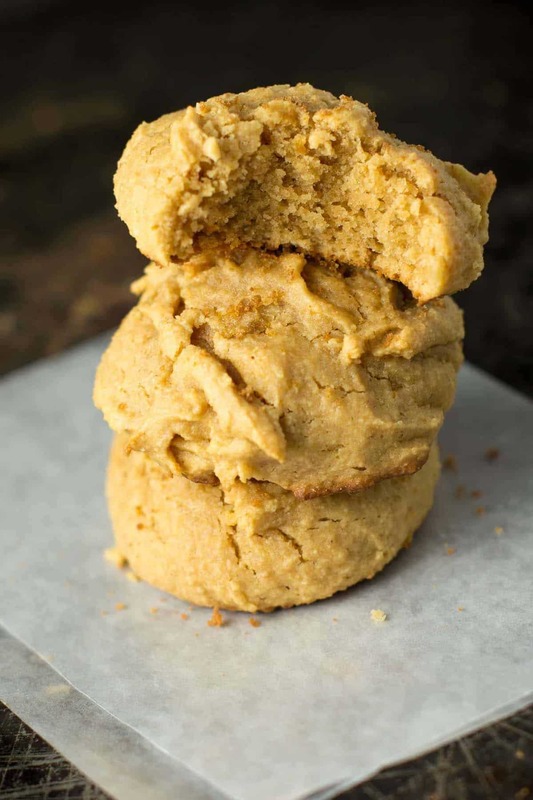 Perfect fluffy peanut butter cookies are coming at ya today! I’m one of those people who favors chocolate desserts over just about anything else. People that don’t like chocolate? Those are people that I understand the least! 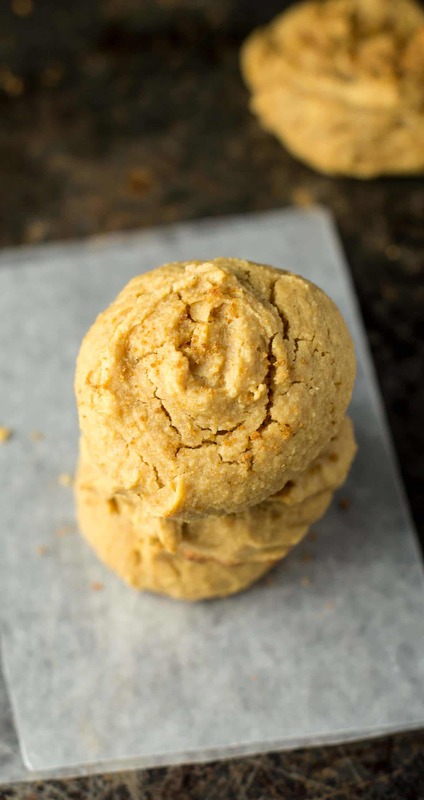 But in the case of these perfect peanut butter cookies… well I just might reconsider everything. These cookies are absolutely perfect. 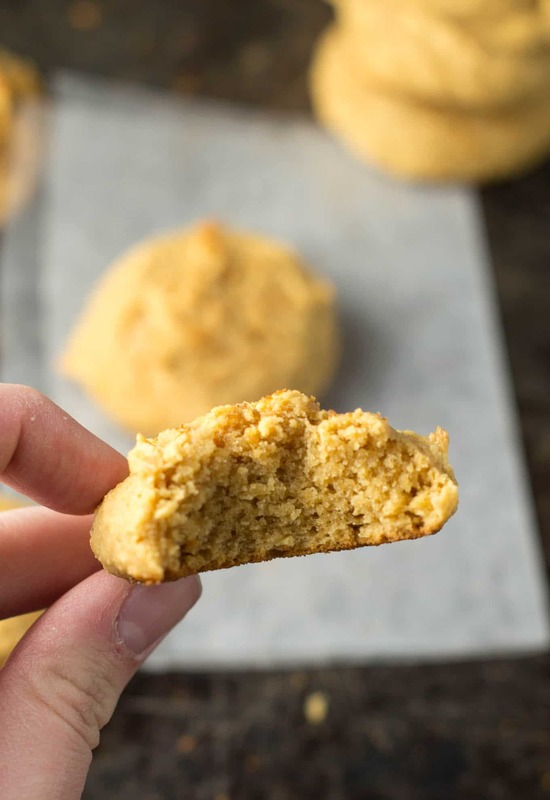 They are gluten free (so everyone can enjoy), not too sweet (no feeling bad afterwards), and come together in just one bowl (yay for minimal clean up!). 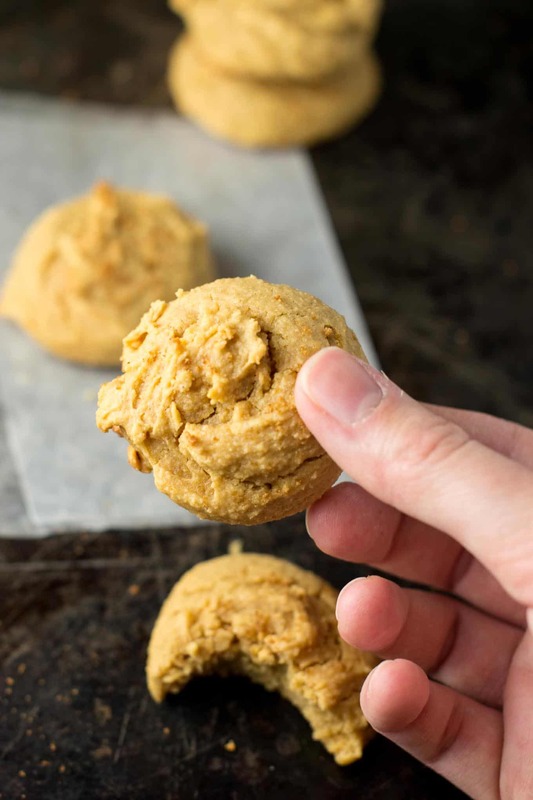 The result is pillowy soft bites of peanut butter heaven that practically melt in your mouth. 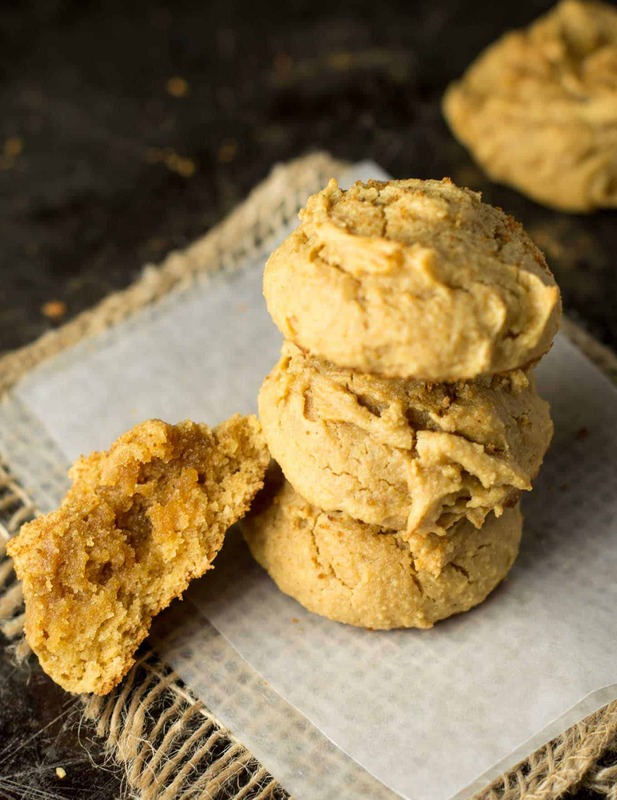 Perfect with a glass of milk or a scoop of ice cream, these peanut butter cookies are a wholesome treat that you don’t have to feel guilty about. Know a peanut butter lover? Share these with them! Looking for more gluten free desserts? 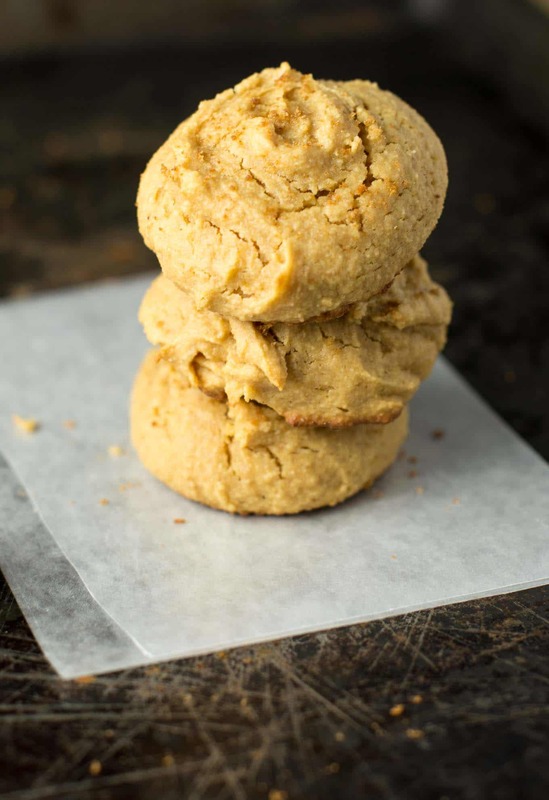 You might like these: Flourless Peanut Butter Oatmeal Chocolate Chip Cookies, Gluten Free Oatmeal Chocolate Chip Bars, Gluten Free Pumpkin Pie Cookies, Gluten Free Chocolate Mug Cake. Bake at 350 degrees for 8-11 minutes, depending on your oven time. Mine were perfect at 10 minutes. These cookies look amazing! Love how thick they are!